David Hinchey got saved in 1991 with a heart for missions. Romans 15:22 was the verse the Lord gave stirring him to become a missionary. 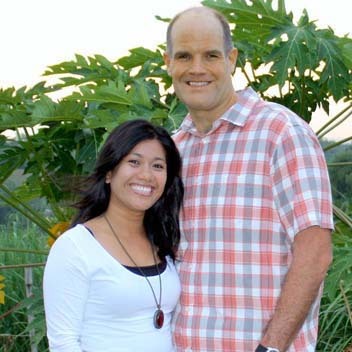 He became the missions Pastor of Calvary Chapel Bible Fellowship in 2000 and served there for 8 years, after which he was sent out to be a missionary in the Philippines. While there he married his wife Jen in 2008, and by the Grace of God together they planted ‘Simbahan sa Bukid’ or ‘Church on the Mountain’. For six years David and Jen served there raising up a group of Godly men who became the Pastors and Bible study teachers in the church. In March of 2014 the church was transitioned to the guys who were raised up and the Lord opened the door again for David and Jen to serve here at Calvary Chapel Bible Fellowship.